Spread the cost from only £364.31 a month with Interest Free Credit. Elegant and versatile, the Luna modular sofa has been created with contemporary spaces in mind. With voluminous dimensions, generous soft seating, graceful curves and on-trend slim metal legs, the Luna Modular sofa is a design statement in its own right. 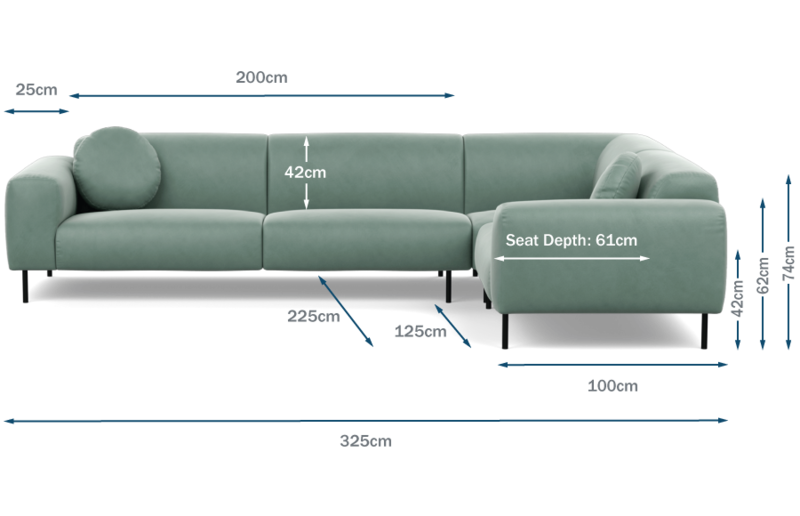 The sofa can be arranged in multiple configurations to suit any space or style. Designed by Heal's and skilfully handcrafted in Italy, Luna is available in a selection of high quality fabrics and leathers.